saks fifth avenue has installed a rem koolhaas-designed escalator within its flagship new york location. the luxury department store is currently in the process of renovating the premises, which includes the redesign of its expansive 53,000-square-foot main floor. the project triples in size the handbag department selling space, which now features more than 50 brands ? 14 of which are new to the store. 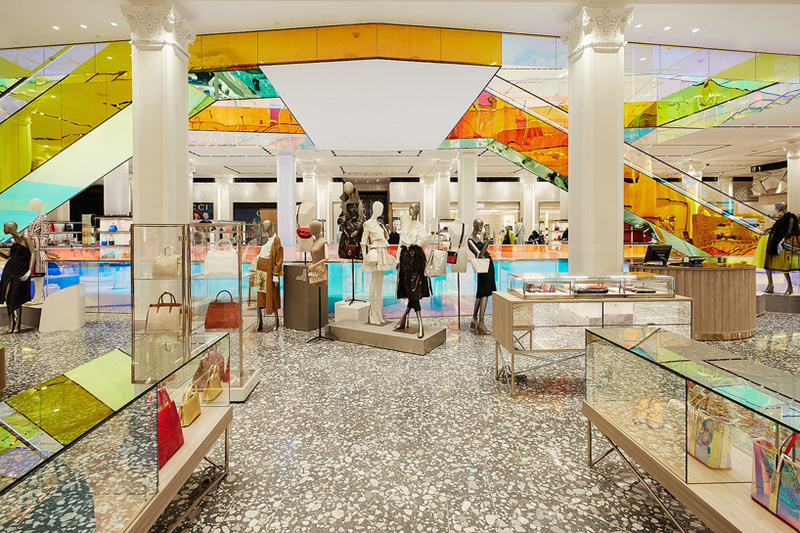 saks worked in collaboration with gensler to overhaul the remainder of the main floor, which includes a new atrium, custom terrazzo flooring from italy, runway-inspired aisles, and a series of ?experiential installations?. saks is set to debut two additional phases of the renovation later in 2019: the vault, a high-end jewelry experience; and the men?s department.